H&M and Zara may be the first fast-fashion retailers to feel the industry's challenges. Fast-fashion retailers have largely been immune to the challenges crippling department and specialty stores—until, possibly, now, as recent financial reports suggest no spot is safe within the turbulent space. "Not only are consumers demanding more customized and personalized fashion, but they are also increasingly expecting it at lower prices," McKinsey & Co. said in a 2016 end-of-the-year report. "While such tactics are useful to drive footfall in the short term, they are generally unhealthy for fashion companies, as mark-downs and promotions eventually lead to a 'race to the bottom' that shrinks profit margins and eats away at brand value." The advisory firm projected in its State of Fashion 2017 report that the fashion industry will "see glimmers of a rebound," driven by luxury brands and athletic wear, while the discount category will decline. Early Thursday morning, H&M shares tumbled 4.34% to $226.90, after it was revealed that inventory levels at the fast-fashion retailer are on the rise. Despite H&M reporting better-than-expected sales for the three months ended February, investors are concerned. H&M CFO Jyrki Tervonen warned on an earnings call that the retailer will likely have to mark down price tags in April and May due to growing inventories, which will hurt profits. "Fast-fashion is dependent on high volume," said Nanette Heide, ACG New York board member and partner at Duane Morris. "As the consumer becomes more conscious, they may be moving away from impulse purchases of garments that are made to be off-trend the moment they are placed in a shopping bag." 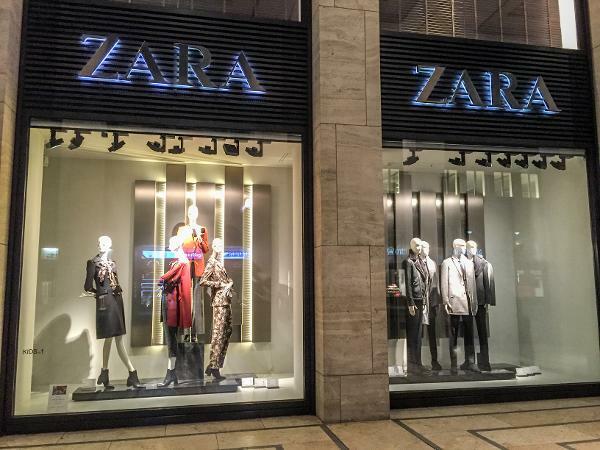 Two weeks ago, H&M rival, Inditex SA, the parent company of Spanish clothing and accessories retailer Zara, reported strong same-store sales growth of 10% for its 2016 fourth quarter, but its profitability dived. The company's gross profit margins fell eight basis points to 57% from 57.8% a year ago. Attorney Hugh Ray, who heads the bankruptcy practice at McKool Smith, said price wars, like those revved up by Walmart (WMT - Get Report) recently to compete with discount grocers, kill profits, no matter who you are. Lights out for fast fashion retailers? Ray said that in the current environment where retailers across the board are driving lower costs only consumers win. Perhaps it's simply a matter of time before fast-fashion falls to the negative impacts being felt across the industry from diminishing mall traffic and heightened e-commerce competition from players like Amazon (AMZN - Get Report) . So far, the pressures have left a slew of specialty retailers to file for bankruptcy and department stores like Macy's (M - Get Report) , J.C. Penney (JCP - Get Report) and Sears Holdings Corp. (SHLD to shutter hundreds of stores. McKinsey surveyed executives across the fashion industry for its report and 67% of them felt sector pressures have "worsened over the past 12 months." Ray had a message for struggling retailers: "find a new line of business." "It's a sorry business to be in," he said. In a recent report, Fitch Ratings explained how specialty and department store retailers are "being battered" by online competitors and fast-fashion apparel companies. And, despite the weak reports from Inditex and H&M, David Silverman, Fitch's senior director of U.S. Corporates, remains optimistic on the fast-fashion space. "Put into context, the results from H&M and Inditex are comparatively much stronger than for segments like department stores and specialty apparel," Silverman told TheStreet, "So fast-fashion isn't out of fashion by any means." Editor's Pick: Originally published March 15.